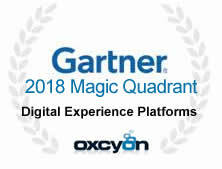 Oxcyon and Centralpoint are in the 2018 Gartner Magic Quadrant for Digital Experience Platforms. Centralpoint can be installed On Premise or in the Cloud, empowering it's users with over 220 modules which harmonize your information and how it serves each of your users securely. Oxcyon is a privately held S Coporation, who successfully competes against Microsoft Sharepoint, OpenText, IBM, Oracle, Adobe, Liferay and many others. Once you see Centralpoint, you will understand our vision, and will see there is no comparison. Centralpoint goes beyond traditional enterprise knowledge management, bringing tools which automatically aggregate your many siloed data sets. Centralpoint brings it all together into a central point or platform, so that it can serve each of your users uniquely and securely. Digital Experience Platofrms consolidate and harmonize the many fragmented tools which came before; content, documents, digital assets, products, videos and serves each user based on their roles and preferences. Centralpoint is in use by over 350 organizations including Fortune 1000, Healthcare, Manufacturing and Government. Centralpoint offers a unique bi weekly remote update allowing Oxcyon to keep up with its growing list of clients and installations. Centralpoint Updates guarantee that the tecnology will not go out of date, and helps to eliminate obsolesence traditonally found with left behind applications. Oxcyon changes the selection process for you, by being able to stand up a live, High Fidelity Prototype, at no cost, before you buy. This approach allows you to see, maybe for the very first time, how your disparate information can be related and harmonized for the benefit of each user. Tell us more about your project and let us prove to you how versatile Centralpoint is. Oxcyon has enjoyed early market adoption within: Healthcare, Government, Manufacturing, Distribution, Government, Non Profit and Publishing verticals. Besides offering a world class technology, recognized by Gartner, Oxcyon brings the best professionals in the business, to implement and maintain your project. Let's be honest, selecting a vendor these days is as confusing as comparing to apples to oranges. Oxcyon makes it simple, standing out as the ONLY vendor who can prove their claims, and can be delivered on time and on budget. Not only will it address the functions you do need, it could introduce new ways to harmonize your information for the benefit of your many users. We take a unique approach, unlike our competitors, wherein we will stand up a live, high fidelity prototype to show you how Centralpoint would address your project. In this way, you can see everything working together in harmony; and also see what time to market really means. We do, at no charge to the client, prior to you having to make a decision. This eliminates your risk, and allows you to see how we think. Who then, do we compete with? Oxcyon competes with any vendor or developer comitted to re-invention. Centralpoint has been recognized is the markets of: Enterprise Content Management, Knowledge Management, Document Managment, Master Data Management, and even CRM solutions. So, we compete with many. Our primary competitors are typically: Microsoft Sharepoint, Liferay, Oracle, IBM, Adobe, and others. It really depends upon what your project involves, and which, of our over 220 functions we offer our of the box, you will be utilizing for the project. Gartner defiines a Digital Experience Platform as a convergence of almost every function you need into a centralized solution. This results in Oxcyon competing with technologies and service providers. A Digital Experience Platform means a singular platform to manage it all, and therefore suggests some degree of centralization. Some of your older applications may need to be sunset, others may need to be added to. Oxcyon will work with you, at your pace to decide which of these older applications might need to go, and for those which stay, integrate with them to yield a harmonized, self service experience for your users. We are considerate of the monies and time you have already invested into the cobbled together approach and will help you to figure out a way how to preserve what works, and retool what doesnt work. Oxcyon's unique bi-weekly remote update (wheher On Premise or in the Cloud) will prevent your investment from perishing over time, like the fruit example above. Technology, like everything changes, and it is our job to provide you with a sustainable digital experience platform which changes in stride. Oxcyon releases it's AI (Artificial Intelligence) Assistant empowering Centralpoint users to extend their knowledge management to other web based applications. This contextual sensitive avatar can be controlled by Centralpoint to live within any third party application, allowing the right information to serve each user when it is needed. Oxcyon releases it's Centralpoint Health Monitor, which allows the Master (Server) to monitor each portal within the enterprise. These scheduled tools can be customized to monitor all aspects of performance to respond to such things as denial of service attack attempts, less than optimal database calls, third party integrations (speed). These tools are designed to allow Oxcyon and it's clients to provide accurate, in depth reporting on mission critical applications. Oxcyon was included in Gartner report entitled, Oxcyon in Forecast Snapshot: Digital Experience Platforms, Worldwide, 2017. This forecast snapshot monitors vendors worth noting in this emerging market space (Digital Experience Platforms) which is expected to grow to $17 Billion by 2020, and which Oxcyon is proud to be a pioneer within this new space. Digital design is a core competency for digital transformation and digital business. Application leaders should use this Hype Cycle to decide whether to embrace, experiment with or discard the hyped technologies related to digital design. This Hype Cycle lets CSP business unit leaders assess and implement technologies that help them raise revenue by modernizing back offices, improving customer experience, innovating business models and offering digital services. With AI, chatbots, mobile messaging and IoT on the rise, customer service and support technologies are recognized by application, business and IT leaders as increasingly essential to customer experience. This Hype Cycle helps IT leaders assess the maturity and risks of these technologies. The Hype Cycle for IT in GCC presents a snapshot of technologies that CIOs should consider. The technologies included have direct impact on revenue generation, efficiency and/or quality improvement opportunities. This Hype Cycle tracks the technologies and technology-related ideas that will have the greatest impact on consumer engagement in healthcare. This research provides healthcare CIOs with a holistic, cross-industry view of consumer engagement to make strategic technology decisions. This Hype Cycle lets CSP business unit leaders determine the vital products, services, technology, business concepts and capabilities needed to accelerate revenue via new innovative business models that can accelerate the digital transformation. Web technologies create the fabric that enables digital businesses to run. Understanding when and how to use emerging and evolving web technology is critical for IT organizations as they become the engine room for the transitioned digital business. Customer experience is a CIO imperative, yet customer service capabilities lag behind the expectations of the mobile-first customer. Analytics, mobile web and chatbots are on the rise. This Hype Cycle is designed to help IT leaders assess the maturity and risks of the technologies in this market. Enterprises use digital commerce as a key way to acquire customers, develop relationships and drive revenue. This Hype Cycle helps enterprises evaluate the suitability of various digital commerce technology capabilities hyped in the market, and understand their maturity and business value. The disruption of the human-machine interface (HMI) is progressing in leaps and bounds. More than ever, the locus of interaction is moving to mobile and wearable devices. Marketing leaders must design authentication and device interaction around multimodal, personalized technologies. The user experience platform is key to acquire and retain new customers, and strategic planners should provide guidance to help customers move from a purely technology-led to a strategically business-driven implementation of the UXP. The user experience platform is key to acquire and retain new customers, and strategic planners should provide guidance to help customers move from a purely technology-led to a strategically business-driven implementation of the UXP . CLEVELAND November 6, 2015 Oxcyon Inc., a leader in enterprise information management and digital experience platforms was referenced in the "Emerging Technology Analysis for User Experience Platforms, published by by Gartner. 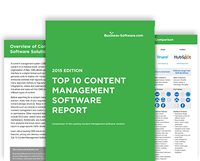 Click here to view this report from Gartner. An incomparable user experience will increasingly be a key competitive differentiator for digital businesses. Product leaders of technology and service providers must immediately assess the impact of a UXP within their planning and sales goals and objectives. Enterprises use digital commerce as a key way to develop relationships with customers and drive revenue. This Hype Cycle helps enterprises evaluate the suitability of various digital commerce technology capabilities hyped in the market, and understand their maturity and business value. Web technology is key for the flip to digital business that most enterprises have yet to tackle. Employing the right Web technology at the right time is critical not only within IT solutions, but also in the new product and service strategies of future digital businesses. The human-machine interface (HMI) is becoming predominantly mobile rather than desk-based, located close to the user in wearables or distributed Internet of Things (IoT) objects. Product architects and marketing leaders must design products implementing multimodal, personalized technologies. Whether called digital experience platforms, customer experience platforms or UXPs, the technology for creating effective, high-fidelity user experiences for a website, portal or mobile app across channels and devices continues to emerge. IT leaders must focus on rationalized, integrated platforms. New concepts and systems are being developed to support the notion that machines could be intuitive enough to process user intent rather than just instruction. However, progress in interface technologies does not seem to be enabling those notions, so more innovation is needed to see them through. Enterprises use digital commerce as a key way to engage customers and drive revenue growth. This Hype Cycle helps enterprises evaluate the suitability of various digital commerce technology capabilities hyped in the market and understand their maturity and business value. Web technology is critical to digital business. Understanding this evolution, and when technologies are ready for adoption by your enterprise, will help you lead your organization to unprecedented success. Gartner MarketScope for UXPs Rates Oxcyon "Promising"
As they develop Web, portal and mobile strategies, IT leaders should consider offerings from the emerging UXP market. UXPs supply consistent, high-fidelity user experiences across a breadth of services, and the sites and apps created by a UXP can be deployed across multiple channels and devices. Oxcyon receives shout out on "Late Night with Jimmy Fallon"
Oxcyon was founded in 2001 by Samuel Keller, our CEO who pioneered the first Digital Experience Platform...Centralpoint. Prior to founding Oxcyon, Mr. Keller had built one of the leading Web consulting firms in the US, which he sold to GTCR, a private equity firm in 1999. Immediately after, he founded Oxcyon and began development on Centralpoint. It was initially created to end re-invention, empowering rapid application development of complex knowledge management enterprise solutions. It was designed to streamline disparate information which had been (and still is) cobbled together in the traditional development approach. Centralpoint was developed to realize or productize what the concept of what Knowledge Management had been. To do this, Centralpoint needed to first be able to centralize disparate data (structured or unstructured) from a multitude of sources. It also needed a secure bridge to authenticate against leading security like Active Direcotry or SAML. Centralpoint had it's first update in 2001, then a very basic solution, offering only 20 content types to manage. Centralpoint is a singular, centralized platform, which indexes or ingests data from many sources, in which to serve the users (by role) who need it. It also leveraged lessons from many other industries like automotive (assembly line building) and shipping logistics (the wisdom of Fred Smith's Fedex and their centralized hub) to yield Centralpoint. Over the years, Centralpoint's granularity over things has grown; from the N-tiered classification of roles, to audiences, microsites and taxonomy. The technical term for this is MphC (Multi-Polyhierachial Classification) and ultimately the secret to our success. Each new issue submitted by clients over the years, introduced new considerations toward how granular the data must be ingested or served, in a cascading model (cascading to only certain users by role, within the audiences in which they worked). By 2008, Centralpoint's architecture surpassed the granularity of Sharepoint, and then others. By 2018, Oxcyon and Centralpoint were recognized by Gartner within the Magic Quadrant of Digital Experience Platforms; the name given by Gartner of a singular, centralized platform to manage information of any kind. This vision was pioneered by Mr. Keller since 1999, and today, given Oxcyon's bi weekly remote update will keep us in the lead. As Mr. Henry Ford once said "The competitor to fear is the one who is constantly improving their product." So, our history in turns takes from the history of others; as there is really nothing new under the sun. Oxcyon is privately held Ohio (S) Corporation founded in 2000. This makes us over 19 years old, meaning an organization who has extensive experience and knowledge captial relative to world class enterprise development. Centralpoint's bi weekly updates guarantee that no client is left behind eliiminating obsolesence traditionally left behind by our competitors. Oxcyon was founded by Samuel Keller, it's President & CEO, and has been enjoying early market adoption within a variety of verticlas including: Healthcare, Manufacturing, Publishing, Government, Banking, Insurance and others. Oxcyon maintains over 350+ client relationships worldwide, and has an extensive staff and global partner ecosystem representing over 150 skilled professionals. Centralpoint offers over 220 modules out of the box, including plug and play integration with Active Directory, SAML and others which empowers you to securely manage each of your users by role. Oxcyon's mission statement is to provide its clients with the best possible digital tools available to maintain their competitive edge within their respective markets. Oxcyon competes with many including: Microsoft, Open Text, IBM, Oracle, Adobe, Liferay and otehrs, armed with a unique approach; the ability to eliminate your risk, by proving our capabilities before your buy. Oxcyon will stand up a live, high fidelity prototype of your project, without cost, prior to asking for your business. This proves our capabilities, time to market, and most importantly...eliminates your risk that we can do the job. Big data, migration, and integration are not things you want to take a vendor's word on. Your vendor needs to mitigate if not eliminate your risk, and introduce new ways to service your users, outside of those you have already identified. to help them compete within the changing landscapes of their market(s).